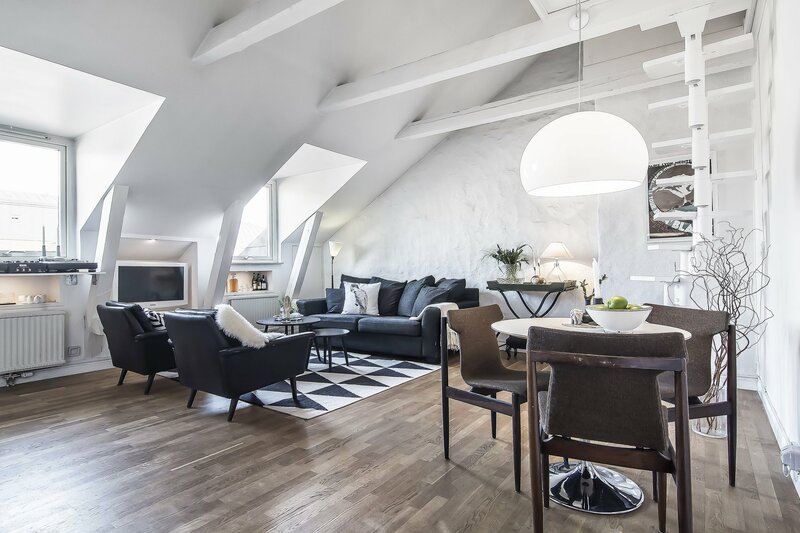 Another twist on monotone interior gets rave reviews from us as one of the hottest lofts we have seen to date! 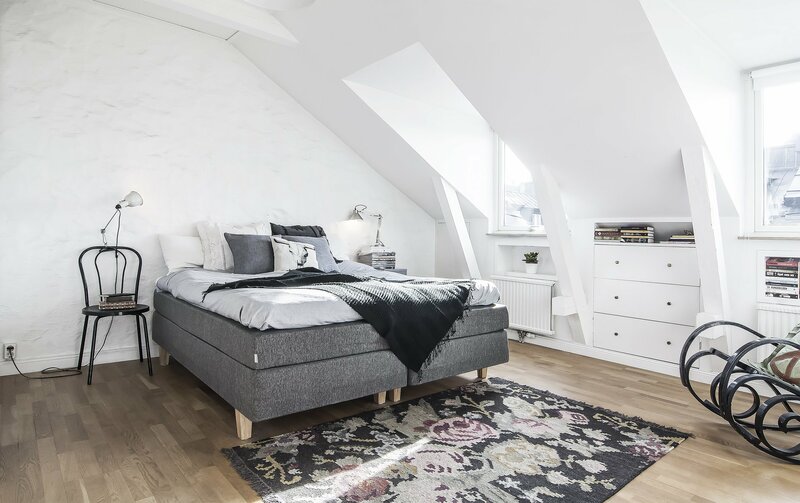 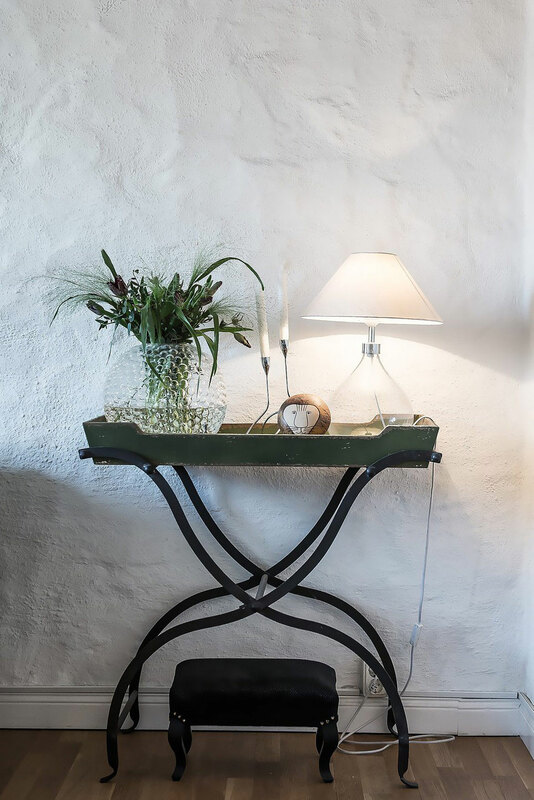 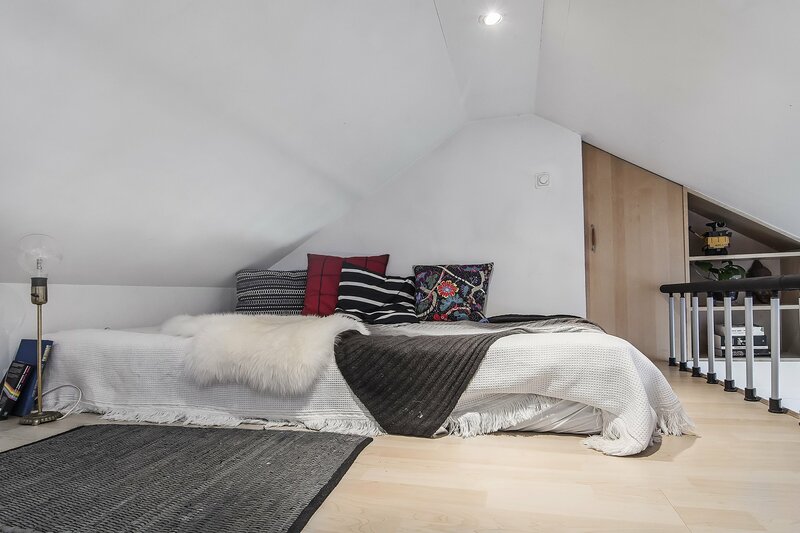 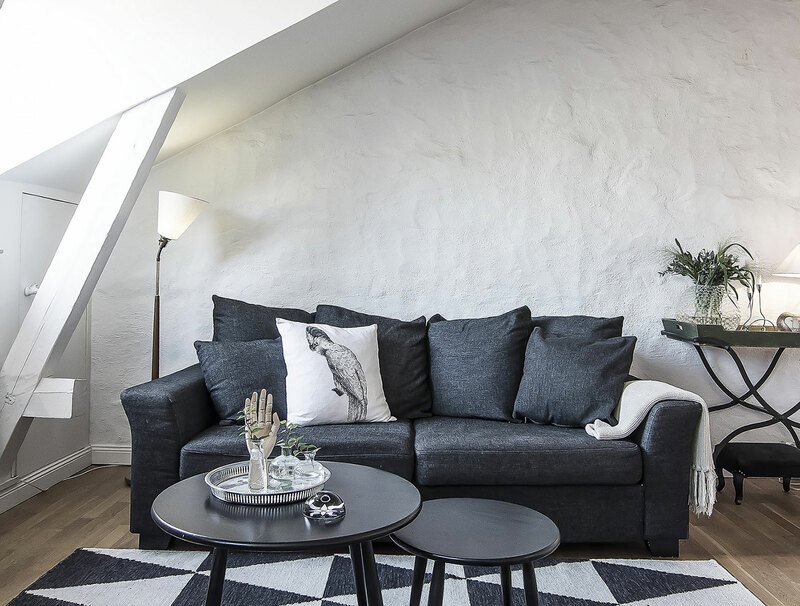 This black and white loft, located in Sweden, features various textures and shapes that inspire contemporary designs in an ethnic way. 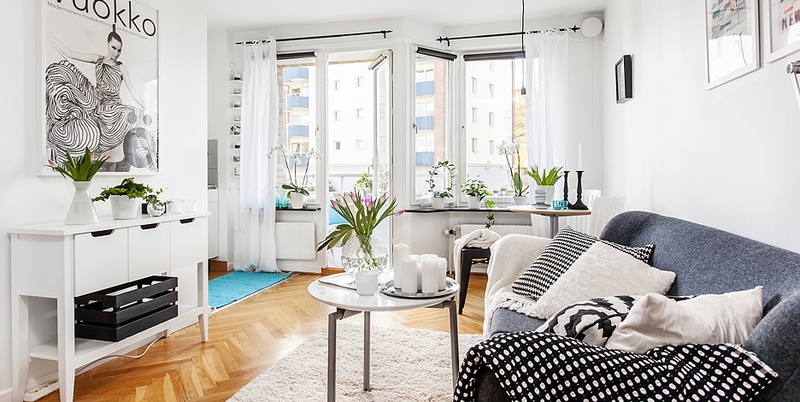 The atmosphere promotes a casual feel that is almost impossible to not invite friends over for. 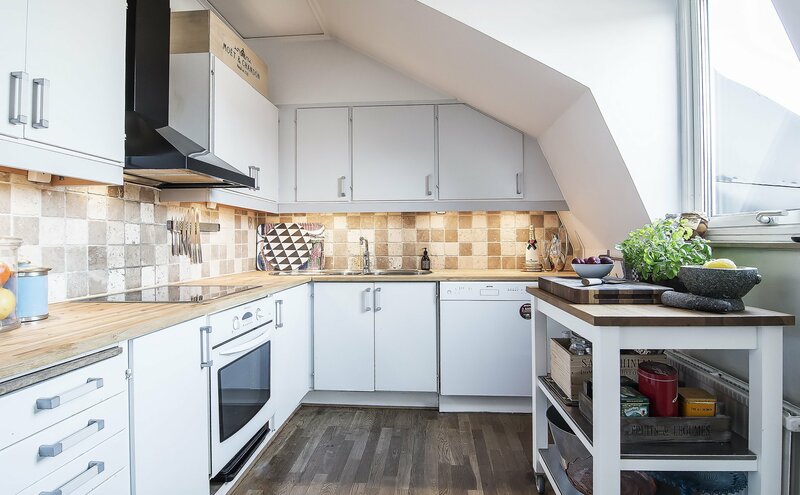 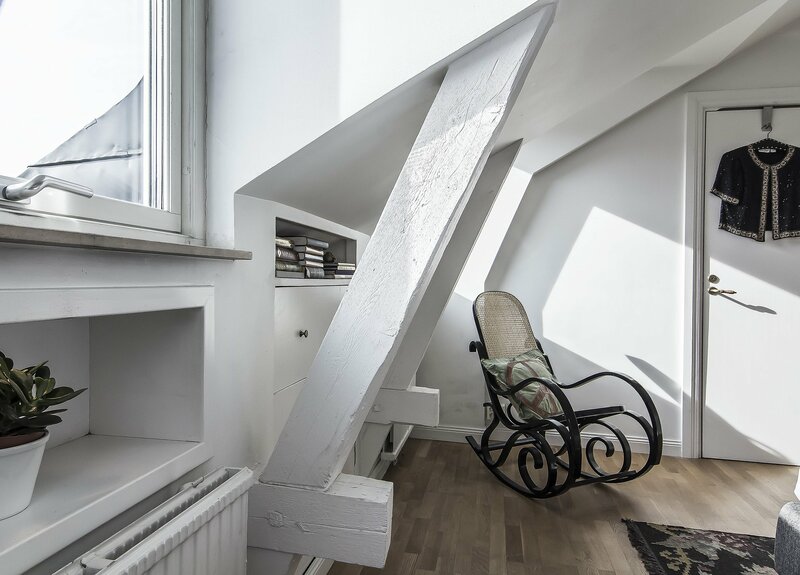 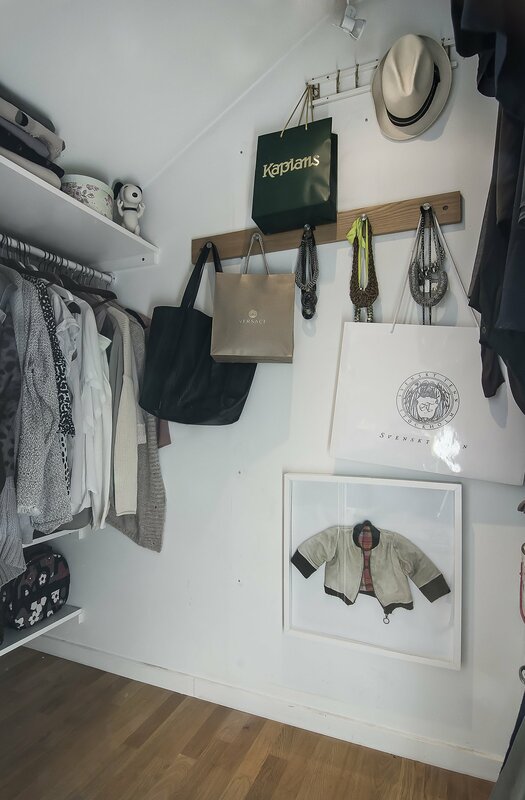 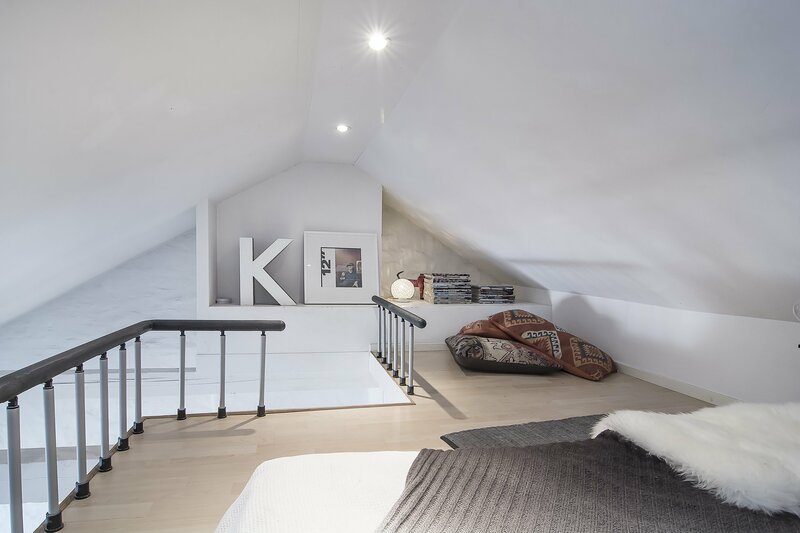 It may seem as though some of the features of this loft will clash at any second, but that couldn’t be further from the truth. 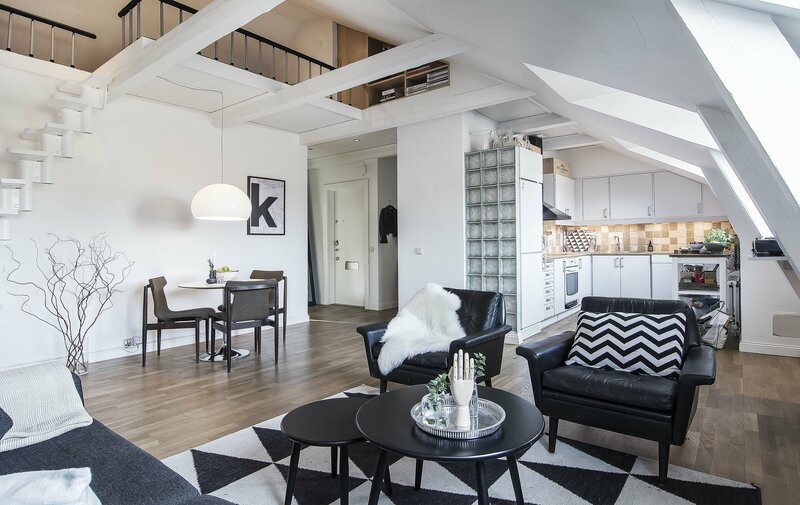 The living room area brings us the most action with a black and white geometric rug that functions as a centerpiece. 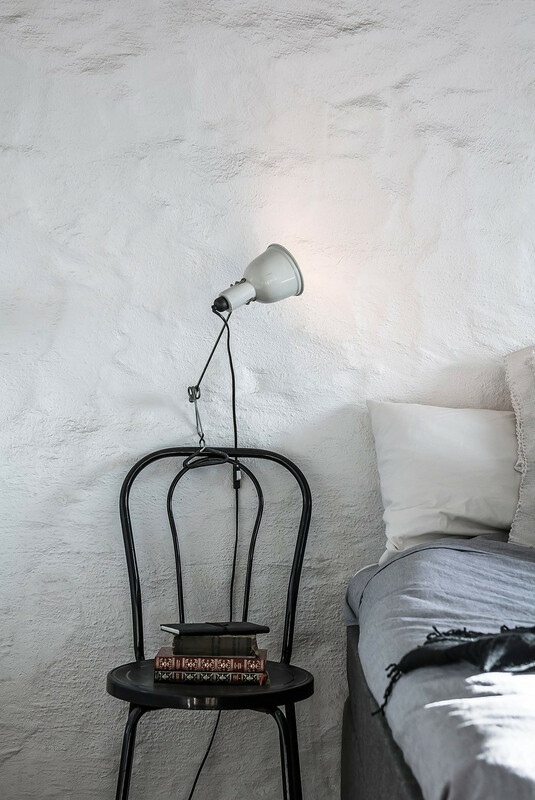 The rug spreads its inspiration throughout the room through the peppered furniture and printed pillows. 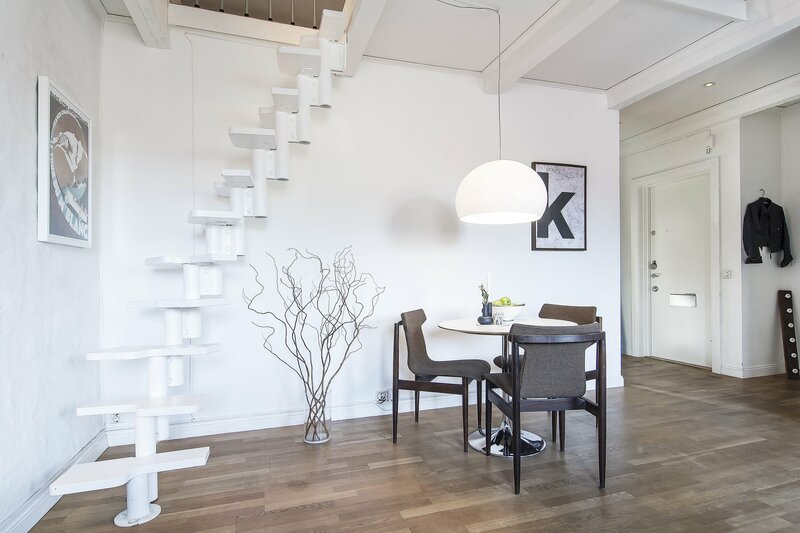 The dining room chairs sport a balancing brown texture to break up some of the consistent black and white. 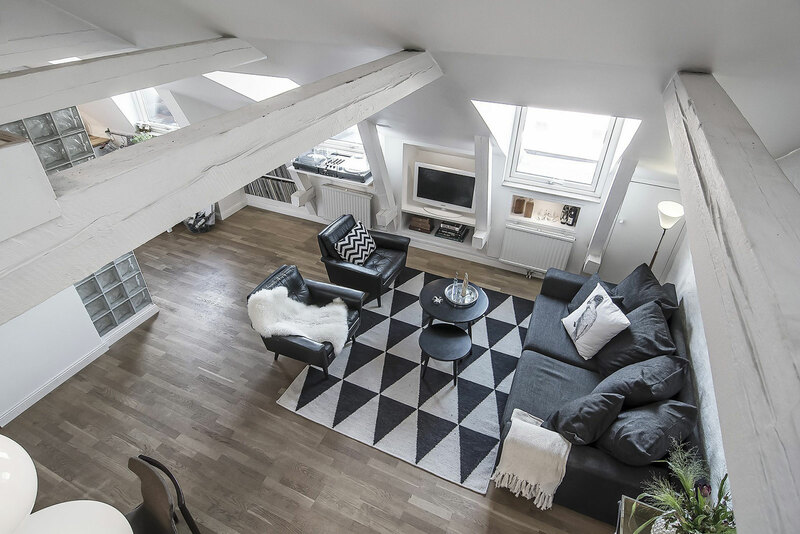 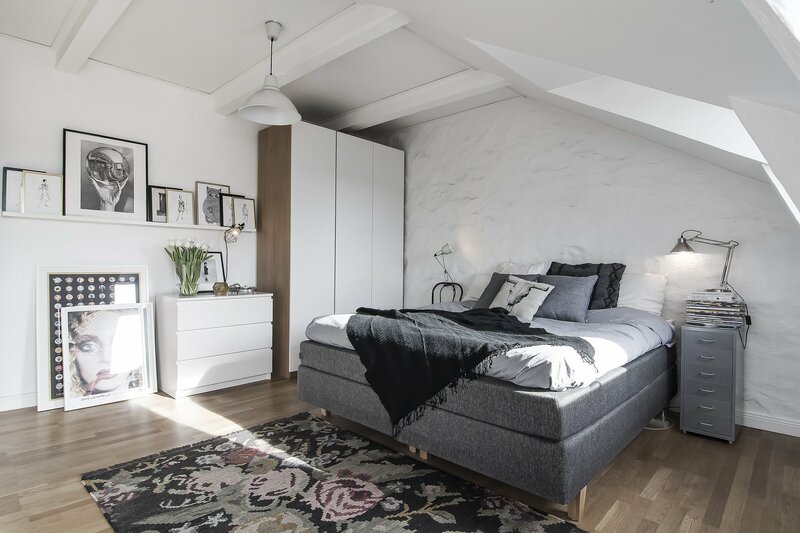 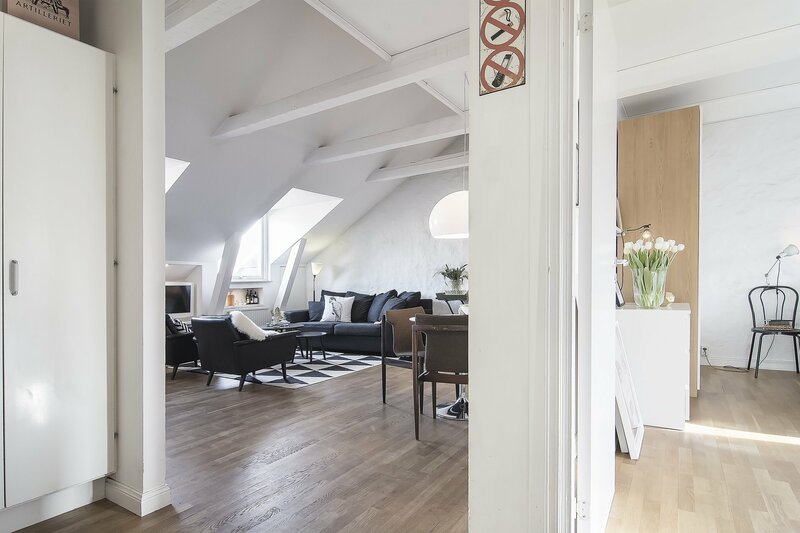 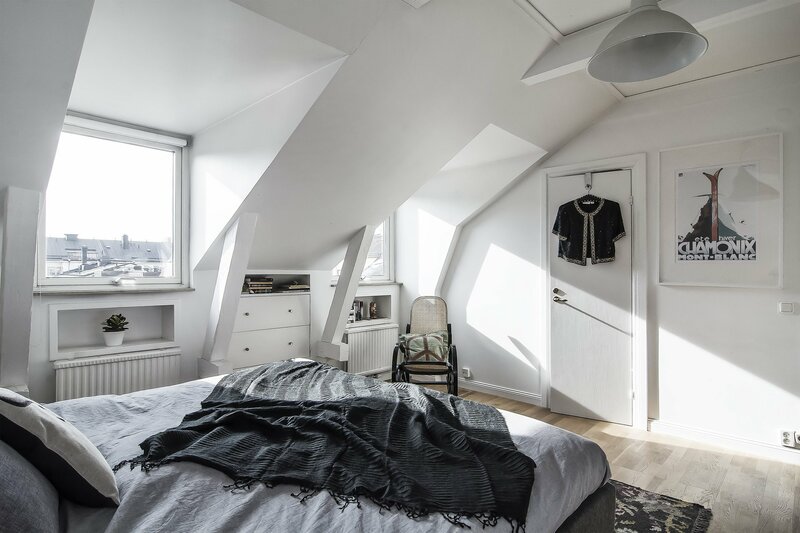 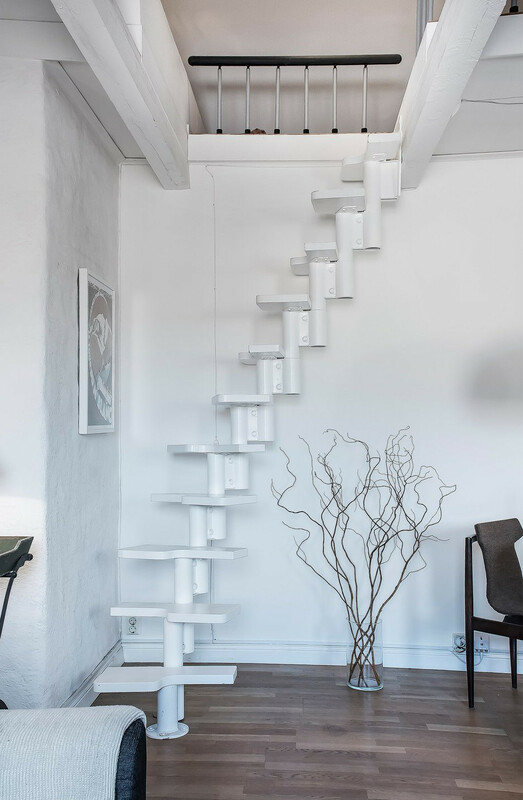 This black and white loft is perfect for a person who likes to keep it simple with a few statement décor pieces that liven up the place in a toned down way.